I am looking forward to buying the book by Charles Churchward It’s Modern : The Eye and The influence Of Alexander Liberman. As an artist’s agent for many years and in particular representing fashion photographers, the name Alexander Liberman came up very often in their conversations about inspirations,influences and people they admired. Born in Russia in 1912 Alexander Lieberamn lived in London and the Paris , staring at Vogue USA in 1941 as art director ,becoming editorial director in 1960. Gifted painter, publisher, sculptor, photographer , his personal exploration and relationships through these mediums shaped his own artistic vision that would alter the relationship of art, design, and fashion forever. Embracing avant-garde idealism he brought modern sensibility to fashion journalism , replacing the grandness and cold hauteur in the pages of Vogue by a sense of freedom and informality that helped change the way American women saw themselves. Liberman was a graphic visionary who broke away from artifice in order to embolden design. It was Liberman who brought in young photographers such as Irving Penn, William Klein, Erwin Blumenfeld, David Bailey, Helmut Newton and Richard Avedon and recruited Grace Mirabella and Diana Vreeland. Liberman was always two jumps ahead from everyone else and did not have place for nostalgia. His constant desire to experiment and the sureness of his judgement were legendary , and this must have been a blessing to the artists that collaborated on the magazines. 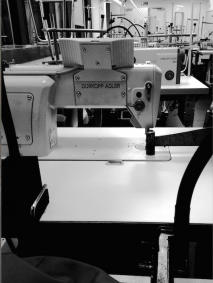 To be able to work for somebody with such vision and authority , what a luxury in our days when creative directors and fashion editors are doubting their creative instincts or constantly bowing down to the requests and needs of their advertising clients without artistic compromise . As deputy chairman for editorial of Conde Nast in 1984 he relinquished one of the most powerful titles in American journalism after 31 years supervising a fleet of magazines and controlling everything from captions to covers. Liberman retired in 1994 at the age of 82. Charles Churchward is an editor, author, art director, and designer. Design Director at Vogue and Vanity Fair Churchward was with Condé Nast for nearly 30 years and was a protégé of former editorial director Alexander Liberman until his departure in 2008. 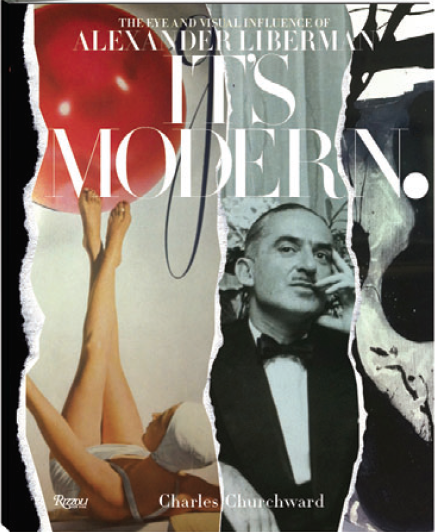 It’s Modern is published by Rizzoli.